Britain's young royal duchesses were out and about this week visiting two of the nation's important institutions focusing on the arts. 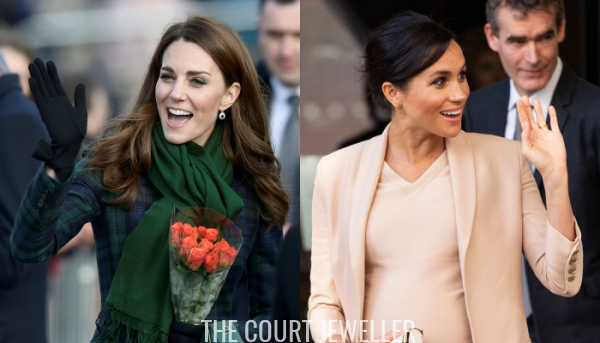 Let's have a look at the jewels that Kate and Meghan wore for their respective engagements, shall we? 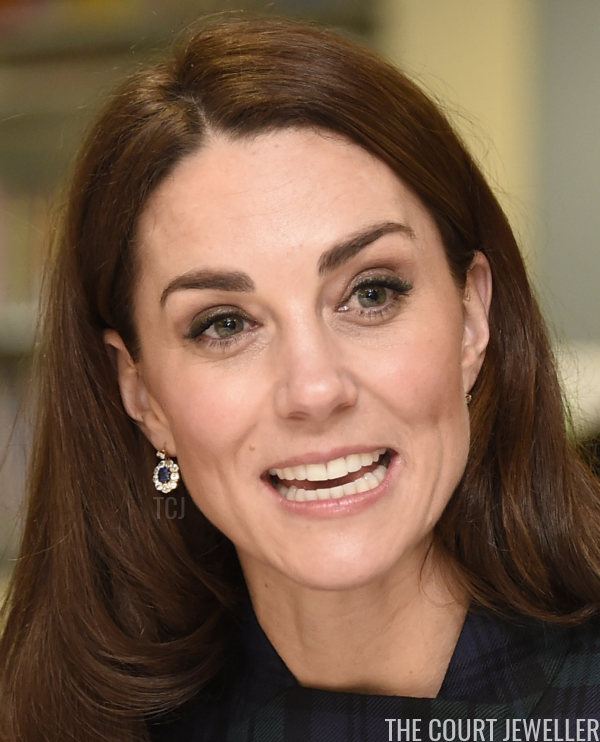 On Tuesday, the Duke and Duchess of Cambridge traveled north to Dundee -- which means, of course, that we should properly call them the Earl and Countess of Strathearn. 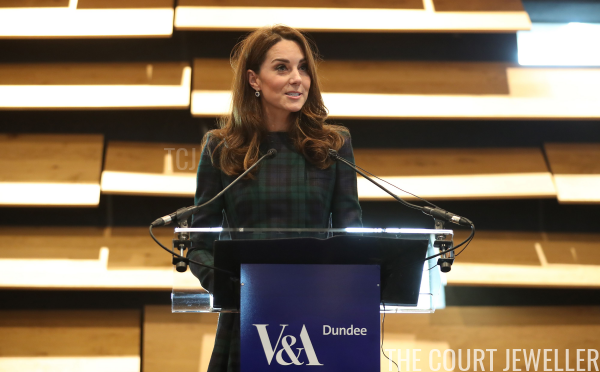 Kate officially opened the new Victoria and Albert Museum in Dundee. It's Scotland's first design museum. More than 300,000 visitors have passed through the new building since its doors opened to the public in September. 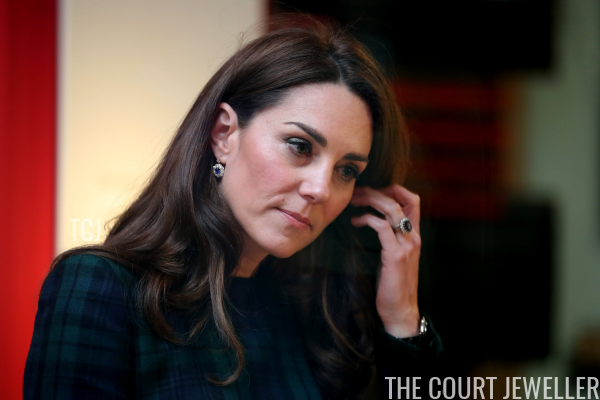 The earrings are a neat echo of Kate's famous sapphire and diamond engagement ring, which she was also of course wearing during the visit. 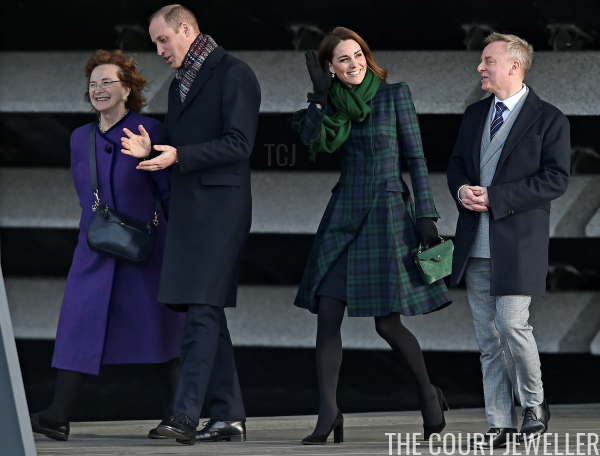 Here's a good look at Kate's entire ensemble for the visit. 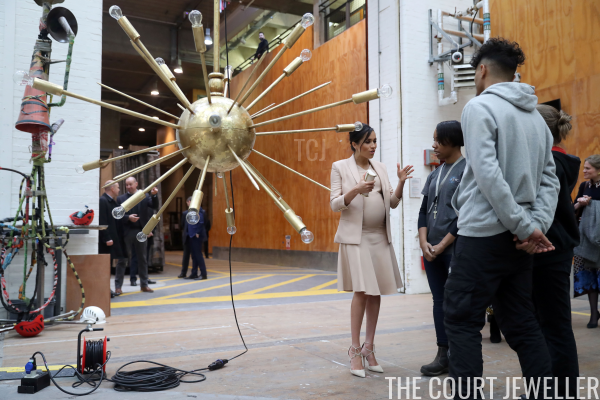 On Wednesday, the Duchess of Sussex visited one of her new patronages: the National Theatre in London. Meghan was clearly engaged during her visit. 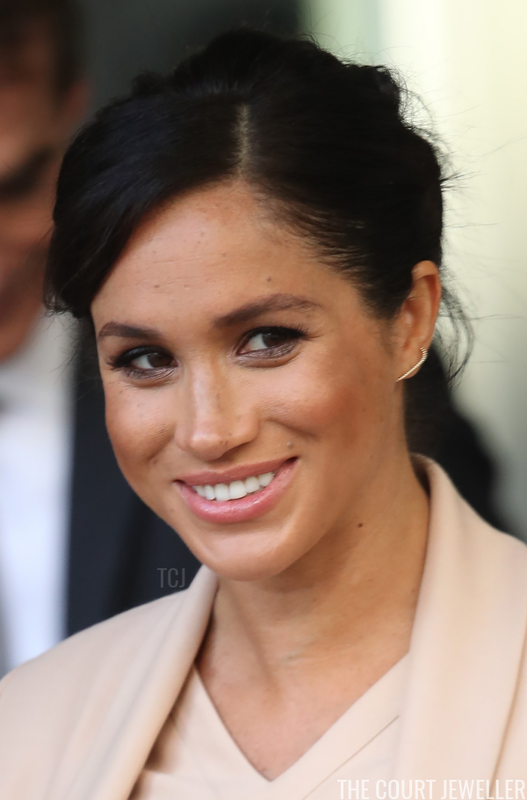 Although Meghan's career as a professional actress mainly included roles in film and television, she majored in theater and communication studies at Northwestern University. 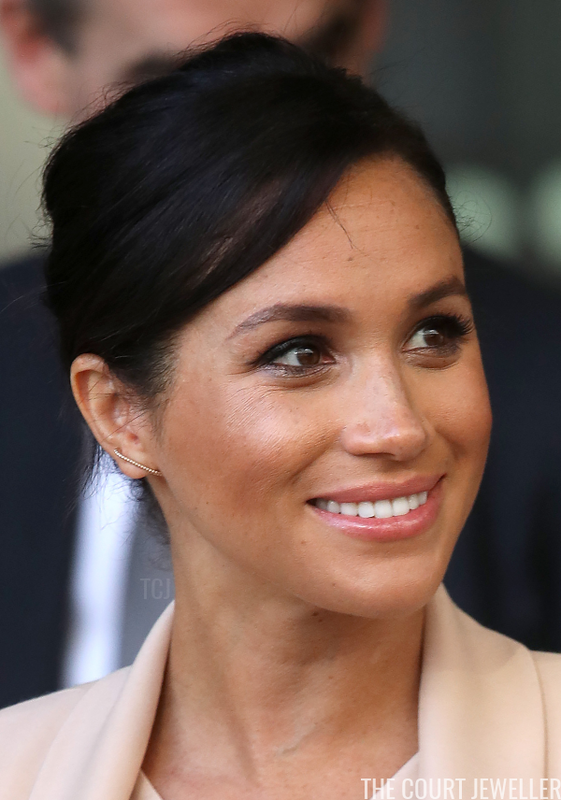 Meghan selected a modern pair of earrings for the visit. The yellow gold earrings were made by a Canadian firm, Ecksand. 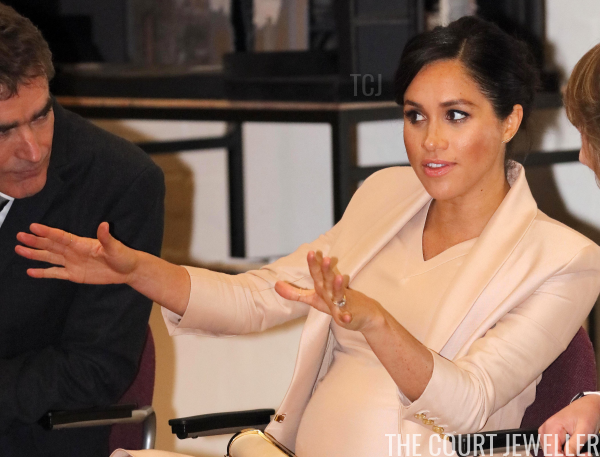 Here's a look at Meghan's entire ensemble for the visit.